Kuala Lumpur. Sime Darby Auto Performance (SDAP) is celebrating the arrival of the new Panamera Sport Turismo at Bangsar Shopping Centre, where two variants were put on display: the Panamera 4 Sport Turismo and the Panamera 4 E-Hybrid Sport Turismo. Based on the successful Panamera sports saloon, the Sport Turismo once again makes a profound statement in the luxury segment with its unmistakeable design. With a large tailgate, low loading edge, increased luggage compartment volume and a 4+1 seating concept, the new Panamera model offers the perfect combination of everyday usability and maximum flexibility. “From a technological and design perspective, the Sport Turismo utilises the innovations introduced in the new Panamera model line. 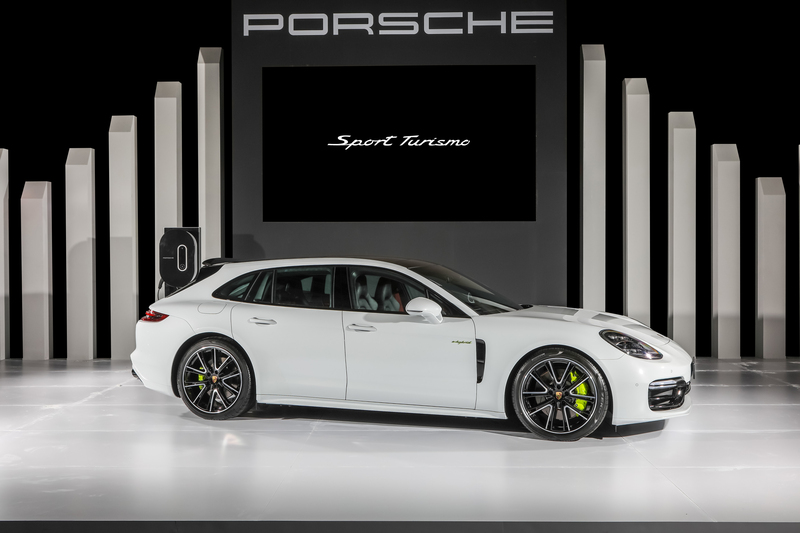 The Panamera Sport Turismo is a step forward into a new segment, but retains all values and attributes that are characteristics of Porsche”, said Arnt Bayer, Chief Executive Officer of Sime Darby Auto Performance. “For Porsche, the Panamera Sport Turismo is a shooting brake concept that promises more practicality with the power and performance expected of a Porsche. 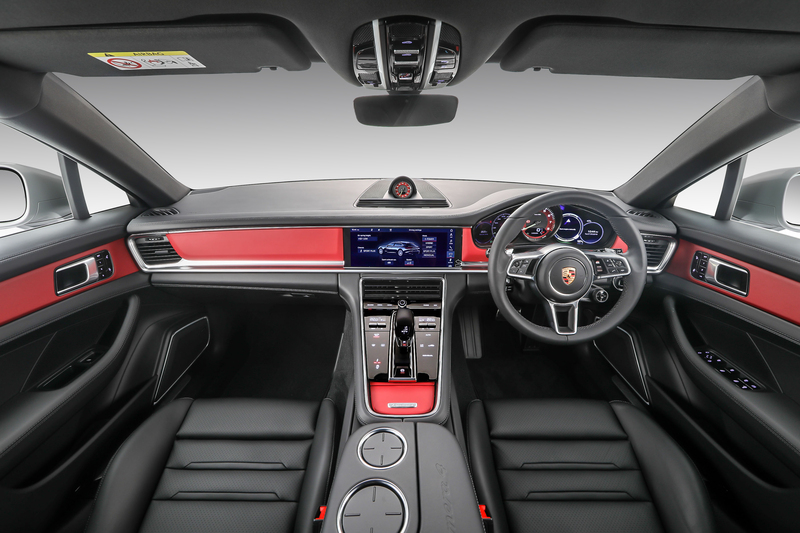 The technology includes the digital Porsche Advanced Cockpit, chassis systems such as rear axle steering, the Porsche Dynamic Chassis Control (PDCC Sport) electronic roll stabilisation system and breathtaking powertrains. In addition, all Panamera Sport Turismo models are equipped with Porsche Traction Management (PTM) – an active all-wheel drive system with electronically controlled multi-plate clutch – as standard”, he added. Just like the Panamera sports saloon, the Sport Turismo is characterised by its dynamic proportions – a perfect reflection of the Porsche design DNA. The vehicle is 5,049 millimetres long, 1,428 millimetres high and 1,937 millimetres wide, while the large wheelbase spans 2,950 millimetres. The silhouette is further characterised by short body overhangs and large wheels measuring up to 21 inches. Beginning from the B-pillars, that is, from the start of the rear doors, the Sport Turismo features a completely unique rear design. Above the pronounced shoulder, an elongated window line and equally long roof contour lend to the vehicle’s striking appearance. At the rear, the roof drops away much less dramatically than the window line, resulting in a prominent and distinctive D-pillar which transitions into the shoulder section in a saloon-like fashion. At the top of the vehicle, the roof extends into an adaptive spoiler. The angle of the roof spoiler is set in three stages depending on the driving situation and selected vehicle settings, and generates an additional downforce of up to 50 kg on the rear axle. At up to a speed of 170 km/h, the aerodynamic guide element – a central system component of the Porsche Active Aerodynamics (PAA) – stays in its retracted position with an angle of minus seven degrees, reducing drag and thus optimising fuel consumption. 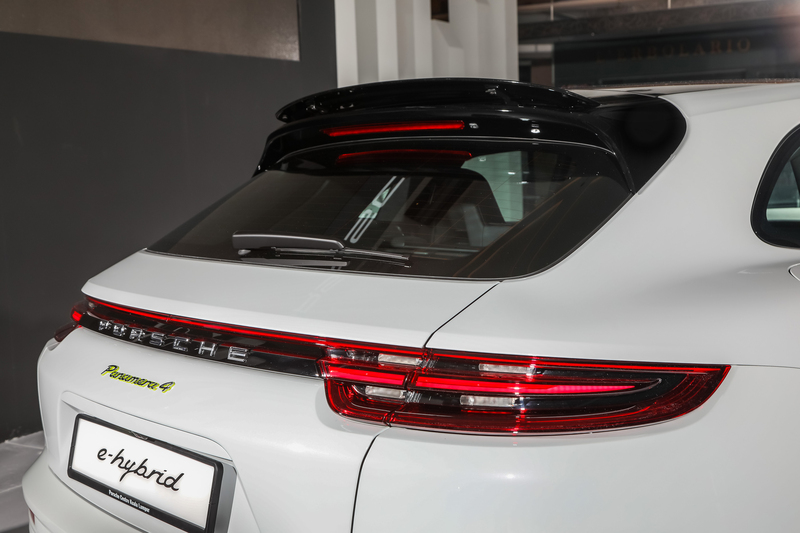 Above 170 km/h, the roof spoiler automatically moves to the performance position with an angle of plus one degree, thereby increasing driving stability and lateral dynamics. When in the Sport and Sport Plus driving modes, the roof spoiler automatically moves to the performance position at speeds of 90 km/h upwards. The PAA also provides active assistance by adapting the roof spoiler’s angle of inclination to plus 26 degrees when the panoramic sliding roof is open at a speed of 90 km/h or above. In this case, the spoiler helps to minimise wind noise. The new Sport Turismo is the first Panamera to feature three rear seats. The two outside seats take the form of individual seats – in keeping with the model line’s claim for sporty performance with maximum passenger comfort – thereby producing a 2+1 configuration at the rear. As an option, the Panamera Sport Turismo is also available in a four-seat configuration with two electrically adjustable individual seats at the rear. The raised roofline of the Sport Turismo allows for easier entry and exit at the rear of the vehicle and ensures greater head clearance. The usability of the luggage compartment benefits from the wide opening tailgate, which is electrically operated as standard, and with a loading edge height of just 628 millimetres. Measured to the upper edge of the rear seats, the 520-litre storage capacity of the Sport Turismo (Panamera 4 E-Hybrid Sport Turismo: 425 litres) provides greater storage compared to the sports saloon by 20 litres. When loaded up to roof level and with the rear seats folded down, the gains amount to approximately 50 litres. The backrests of the three rear seats can be folded down together or individually in a 40:20:40 split and are unlocked electrically from the luggage compartment. When all of the backrests are folded down, the loading floor is virtually level. In this case, the storage volume is expanded to up to 1,390 litres (Panamera 4 E-Hybrid Sport Turismo: 1,295 litres). A luggage compartment management system is available on request for the Panamera Sport Turismo. Among other things, this variable system for secure transport includes two rails integrated in the loading floor, four lashing points and a luggage compartment partition net. An optional 230-V electrical socket can also be provided in the luggage compartment. The retail base price for the new Panamera 4 Sport Turismo, Panamera 4 E-Hybrid Sport Turismo, and Panamera Turbo Sport Turismo starts from RM990,000, RM1,125,000, and RM1,940,000 respectively. 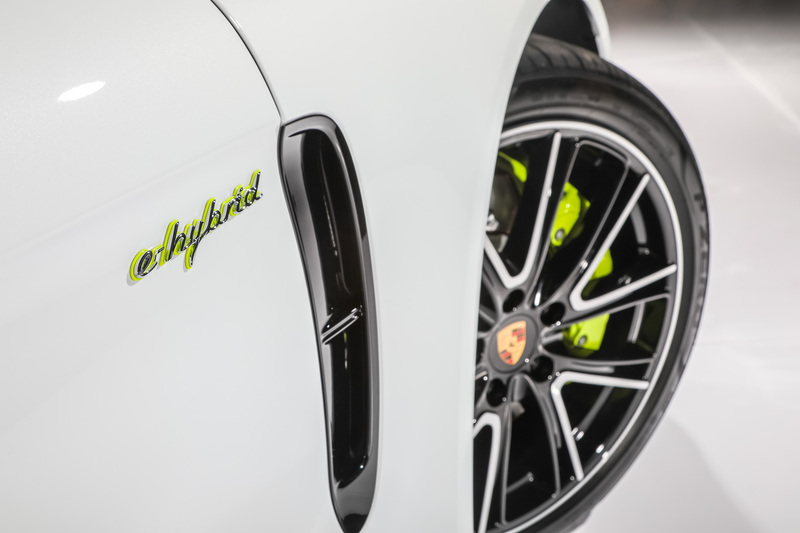 All Porsche cars sold by SDAP come with a four-year warranty and free maintenance package which includes complimentary service, parts and labour. The stated price includes all applicable duties, except registration fee, road tax and insurance. Specifications and prices are subject to change without prior notice. The new Porsche 360 Financing will also be made available. The Porsche 360 Financing is an intelligent alternative to conventional financing by reducing monthly payments by up to 30% and providing flexible terms for better cash flow management.